We have continued to be involved with peacemaking in South Sudan and have experienced some great successes. One of the most recent victories came from carrying out peacemaking in a state called Gogrial. We found out that after the peace dialogues over 3,000 guns were turned in! Gogrial is just one of the eight states we have covered to date. We have currently been commissioned to start dialogues in two of the most contentious states in the country, Abyei and Western States, as soon as possible. With this in mind, one of the continual questions I receive is “What is the process? What’s the model?” These are not bad questions at all, but if we just lead with this, peacemaking will not have its full effect. “When we approach the challenge of reconciliation, we tend to ask for the steps, the model, the process, the toolkit, and the techniques. This is true whether we find ourselves personally embroiled in the conflict or providing help to others in deep conflict. We have found this same reality. You can come to peacemaking and all the correct techniques and processes, but if you have not learned how to “humanize the other” all discussions will be greatly hindered, if not impossible. 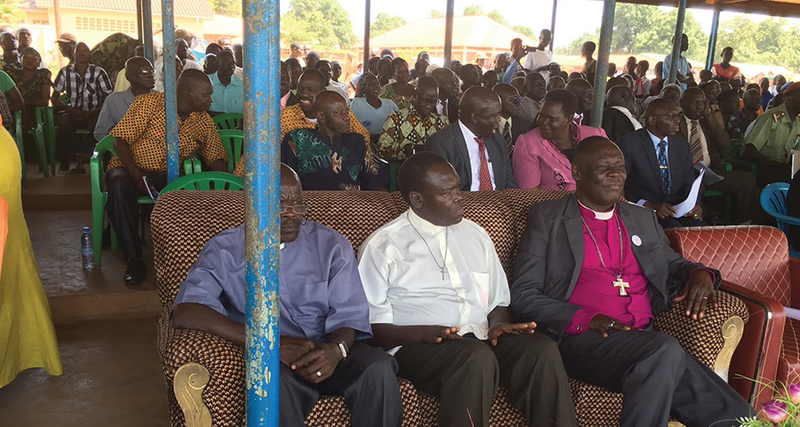 If you would like to partner with us in peacemaking throughout South Sudan, especially currently in Abyei and Western States, please check this link out and give. Know we greatly value your partnership. I pray these words from Lederach have also been an encouragement as well.